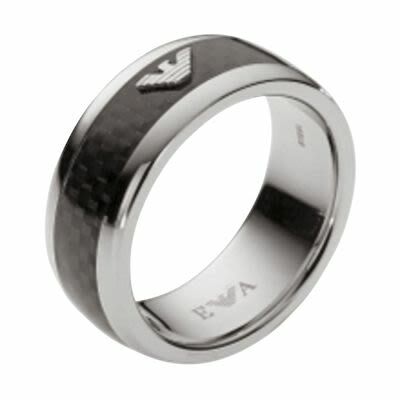 This two - toned men’s ring is a stunning mix of matte black and silver for a sophisticated look. The eagle emblem is displayed on the front of the stainless steel ring while Emporio Armani branding is subtly placed inside. Size 10.